We would like to wish all of our wonderful Great North Runners good luck tomorrow (Sunday 10 September). We hope the weather is good! Groups of runners this year include Tui cabin crew raising money for us in memory of their colleague, Avril Glassbrook and Hike4Hopey runners remembering Control Firefighter, Lee Hope. 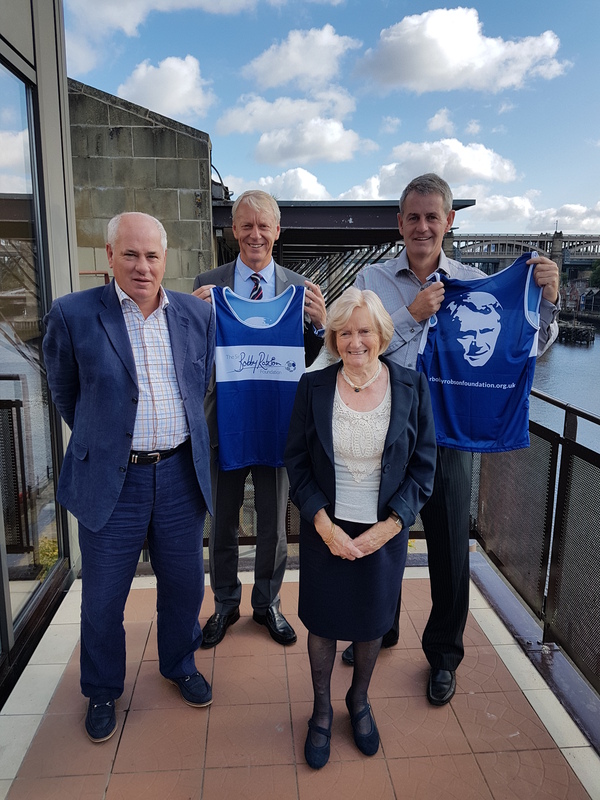 Our runners also include Sir Bobby’s son, Mark, and our Trustee and Newcastle University Vice-Chancellor, Professor Chris Day. We know everyone running will have their own reasons for taking on this famous half marathon and it’s always a special and emotional day. Lady Elsie says: “I know people do the Great North Run for many different reasons and I hope you achieve your goal – be it a personal best, a fundraising target or simply completing the run. As ever, Sir Bobby’s family and friends will be providing teas and coffees for our runners at the finish. If you would like to sponsor Professor Day, you can do so here.